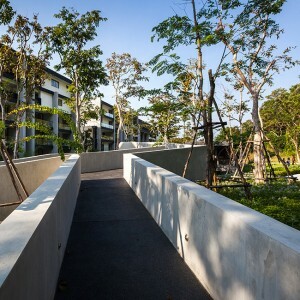 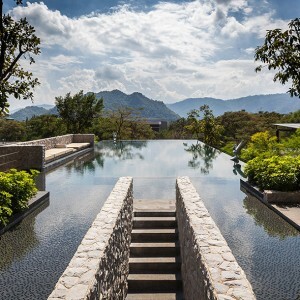 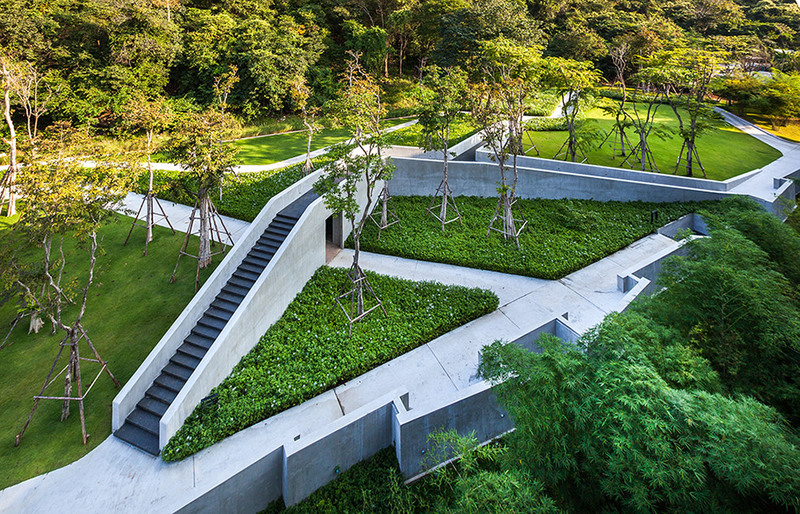 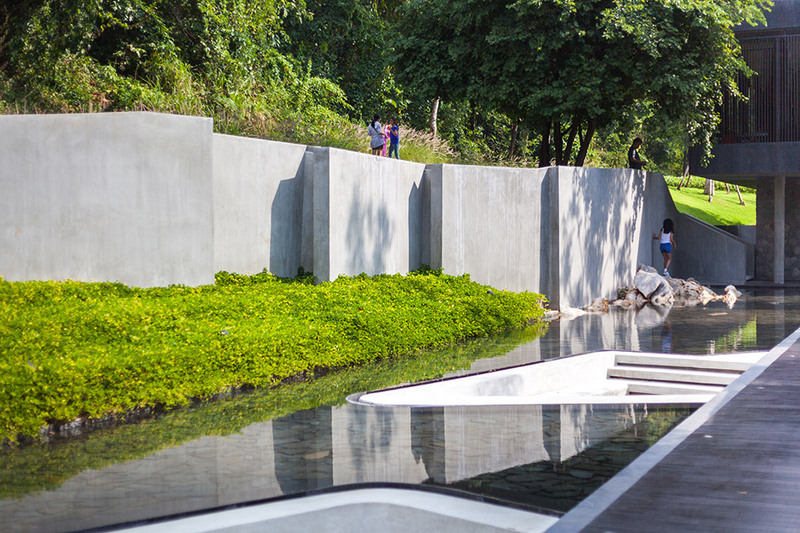 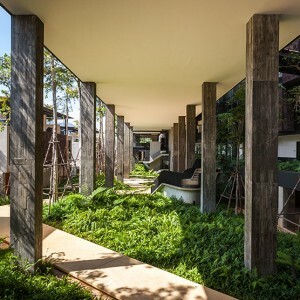 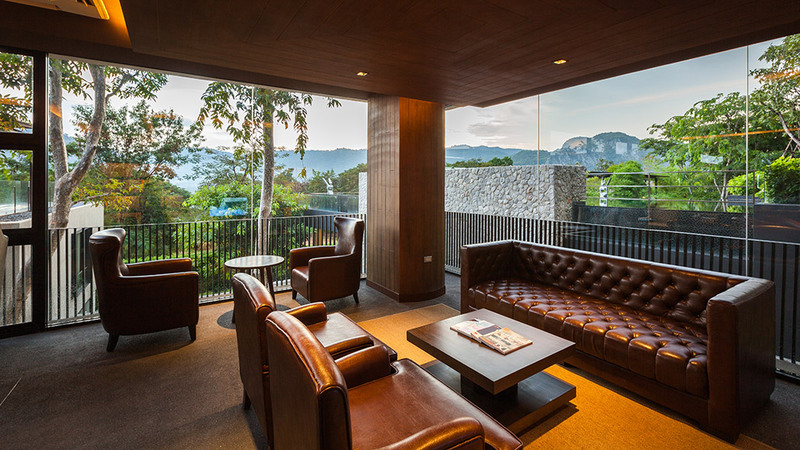 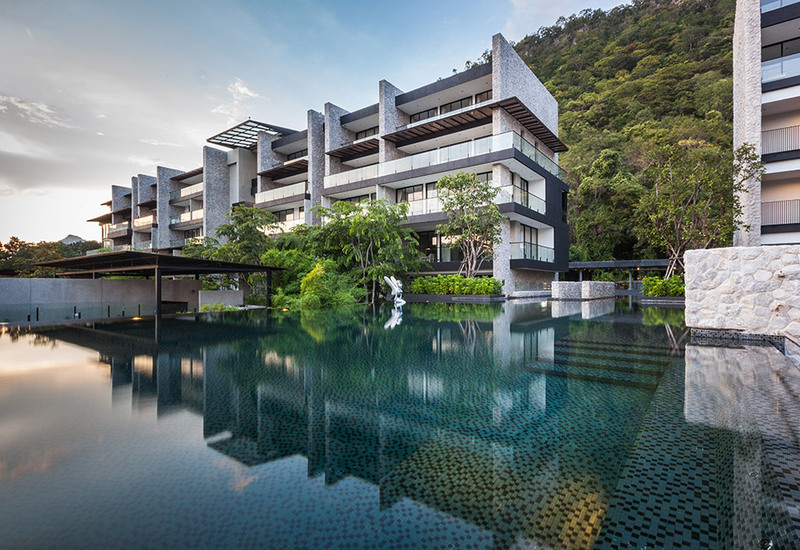 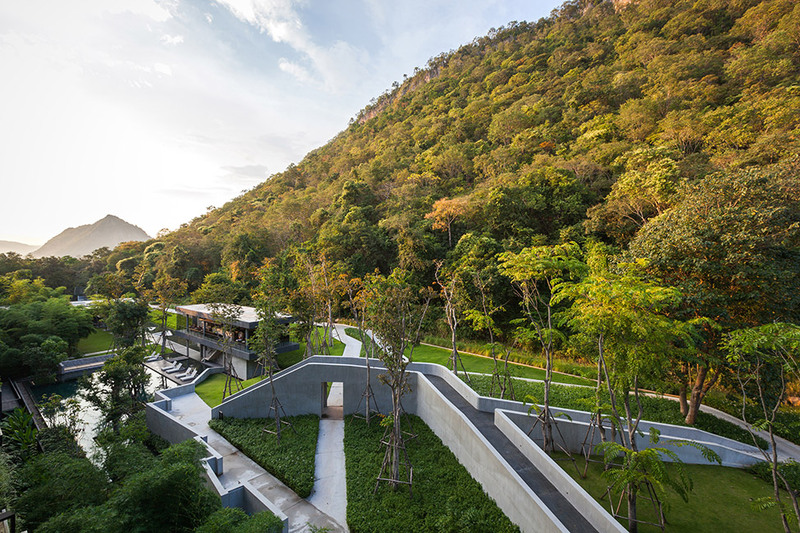 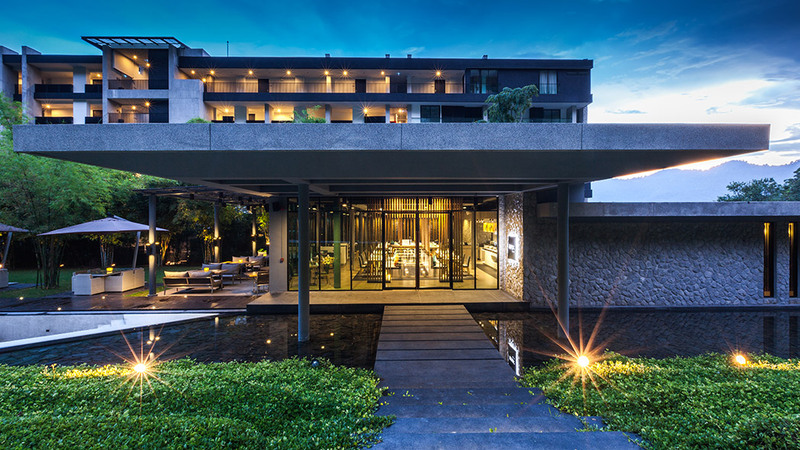 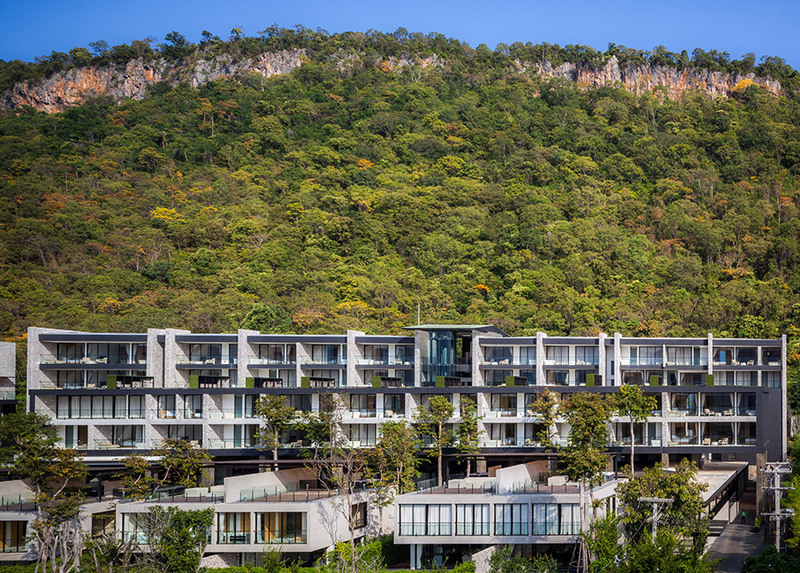 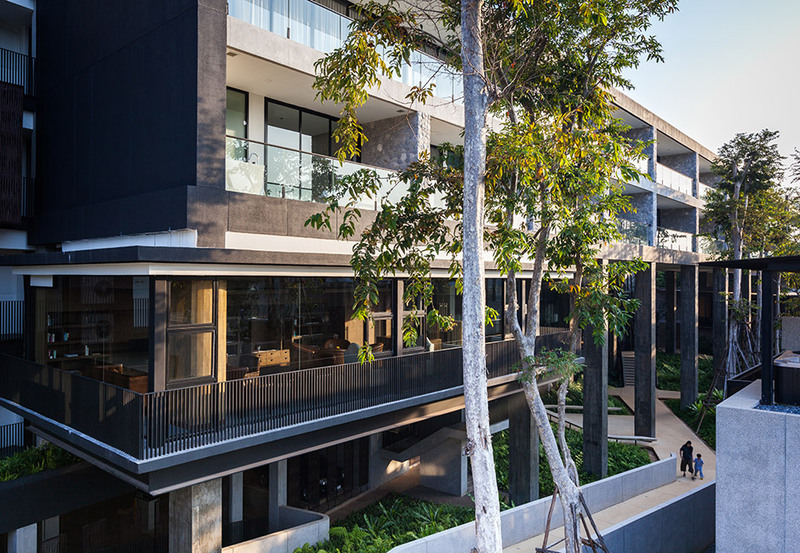 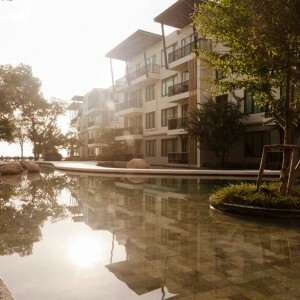 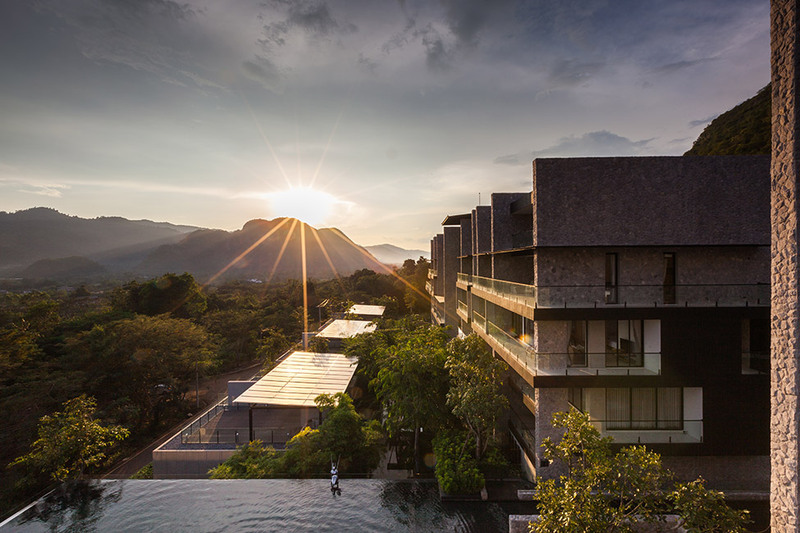 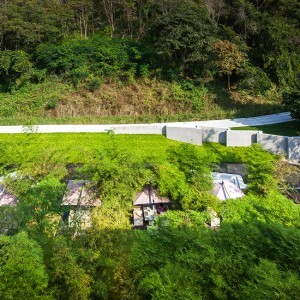 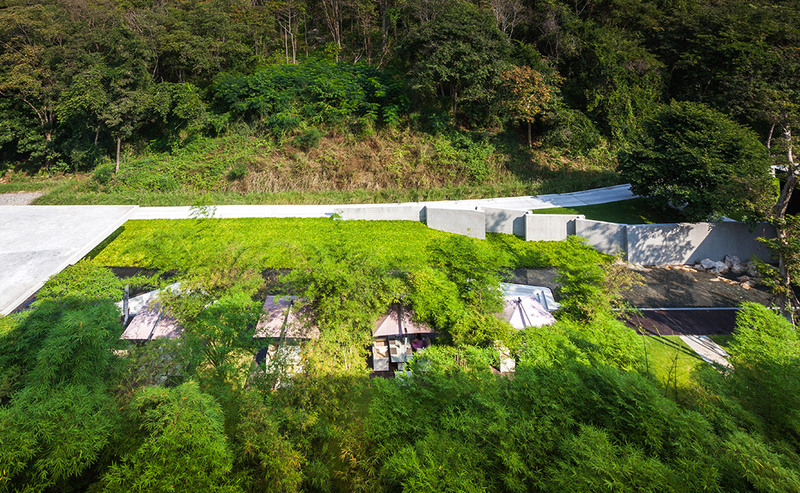 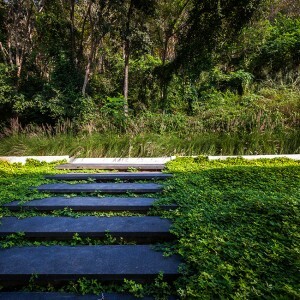 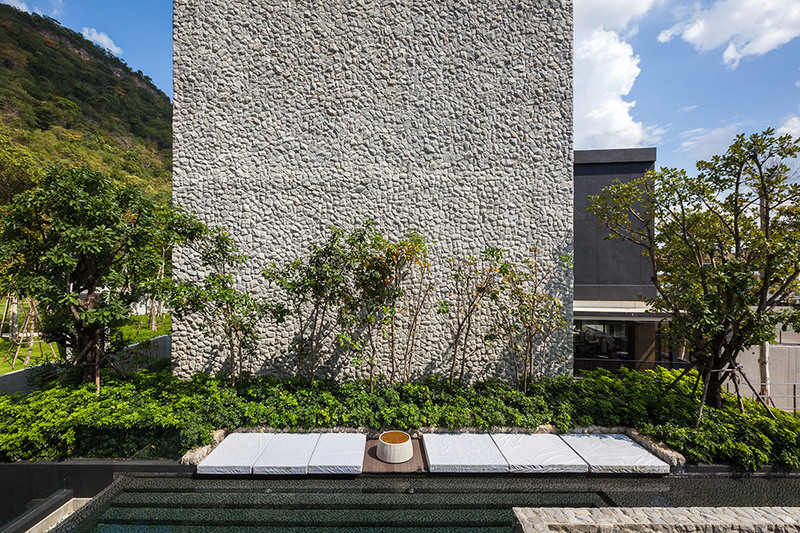 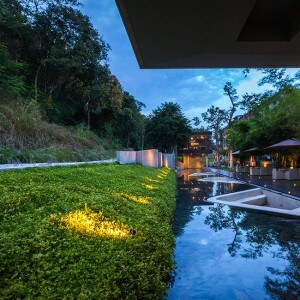 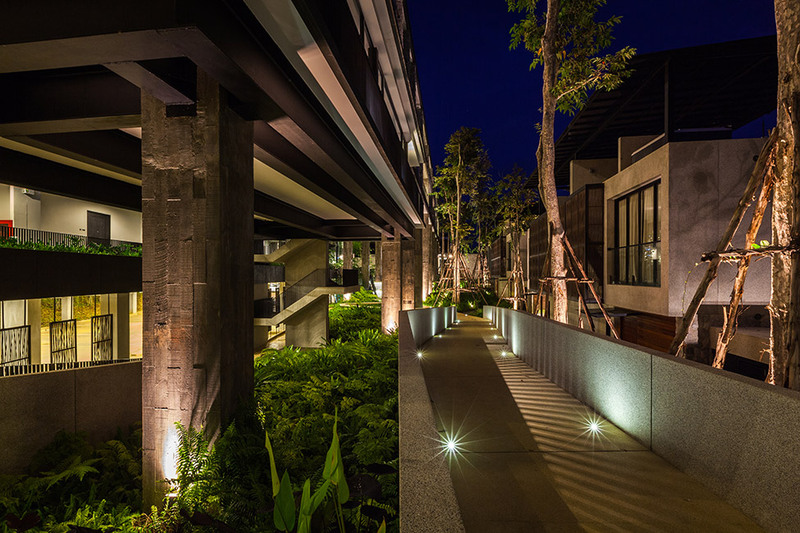 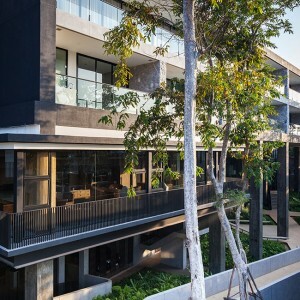 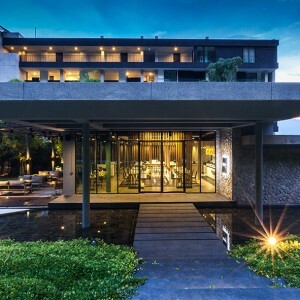 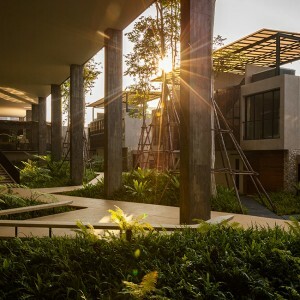 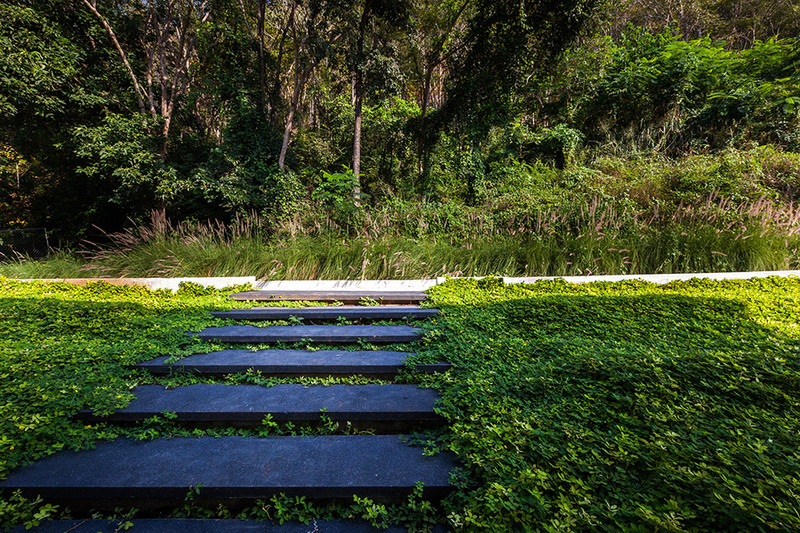 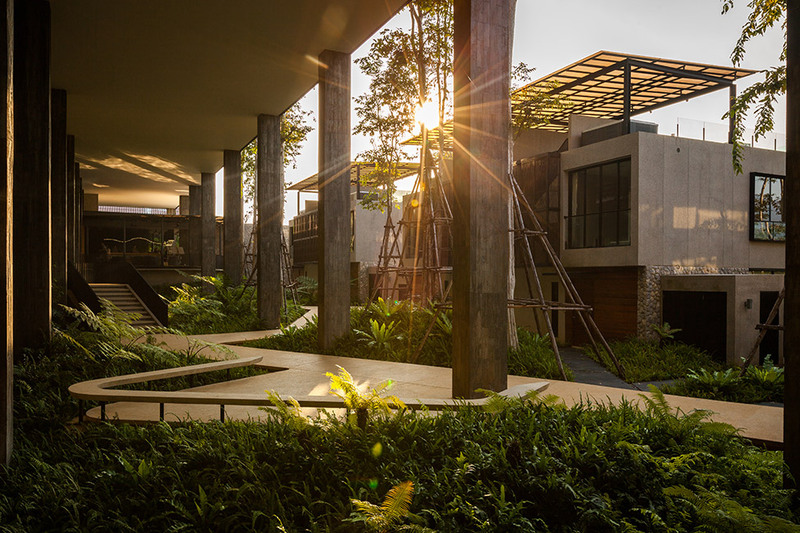 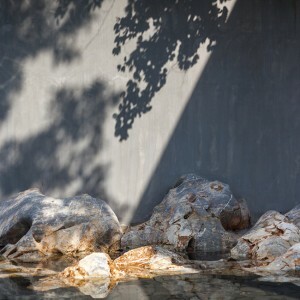 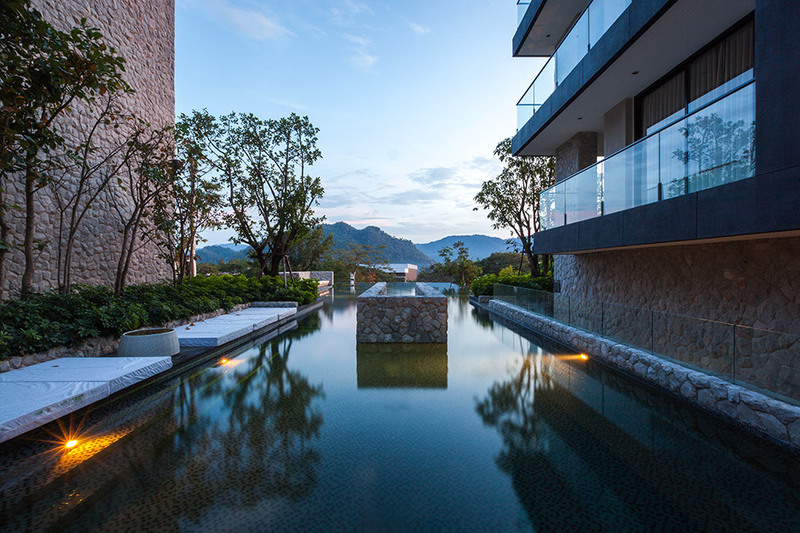 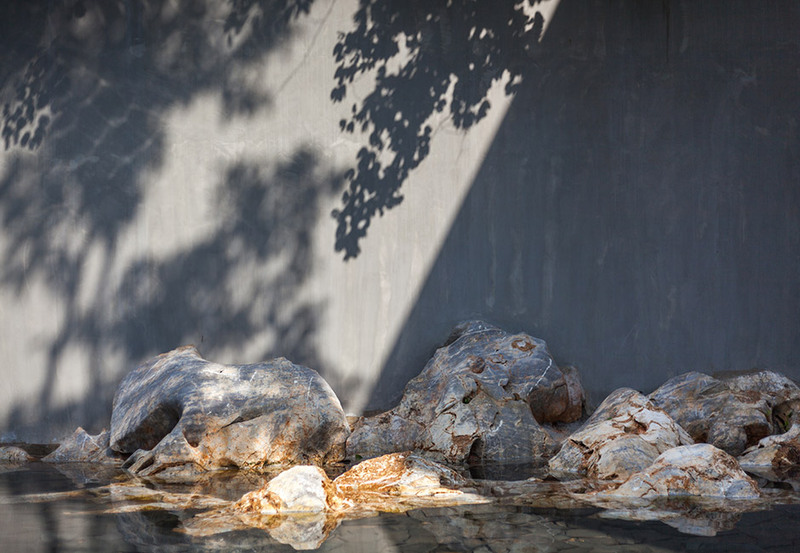 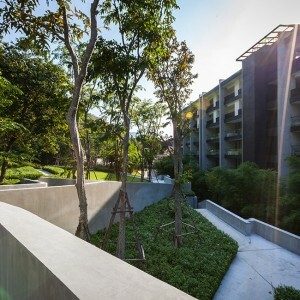 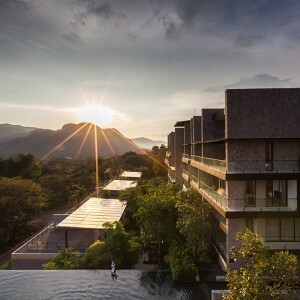 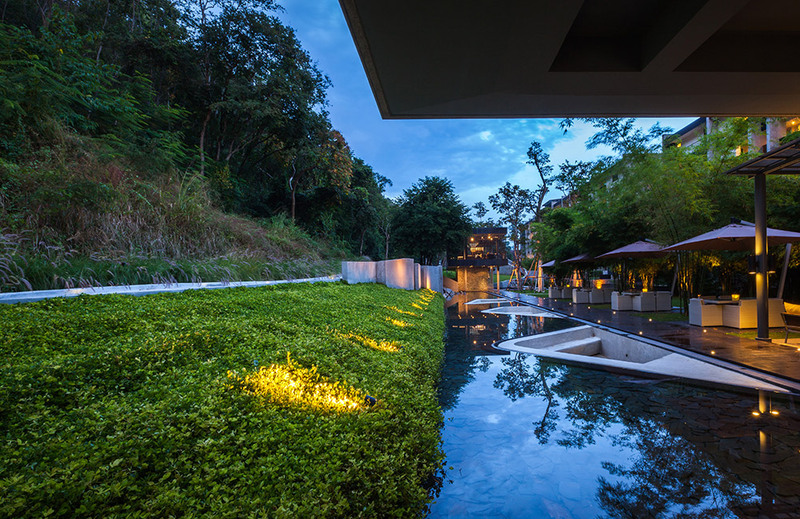 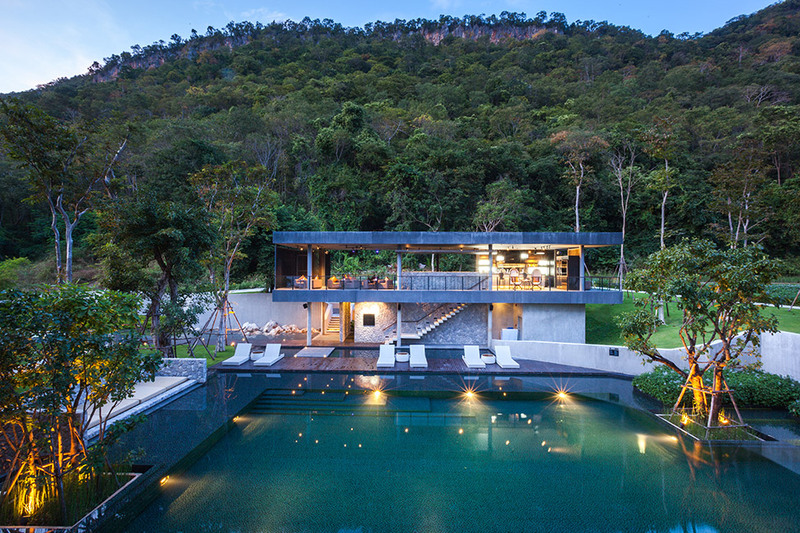 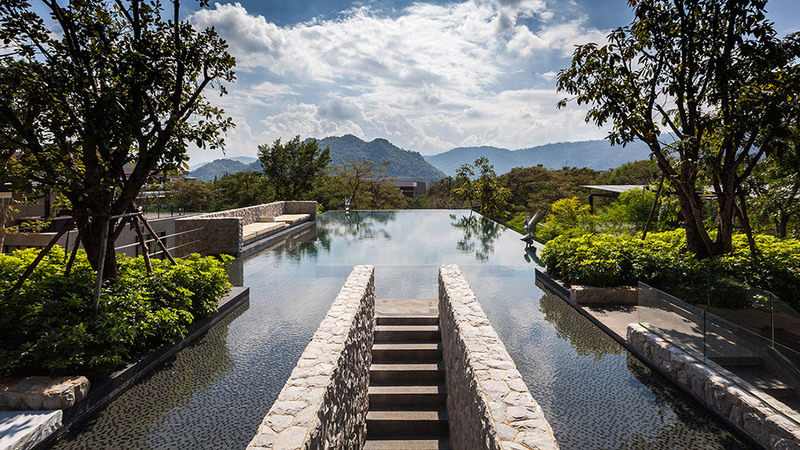 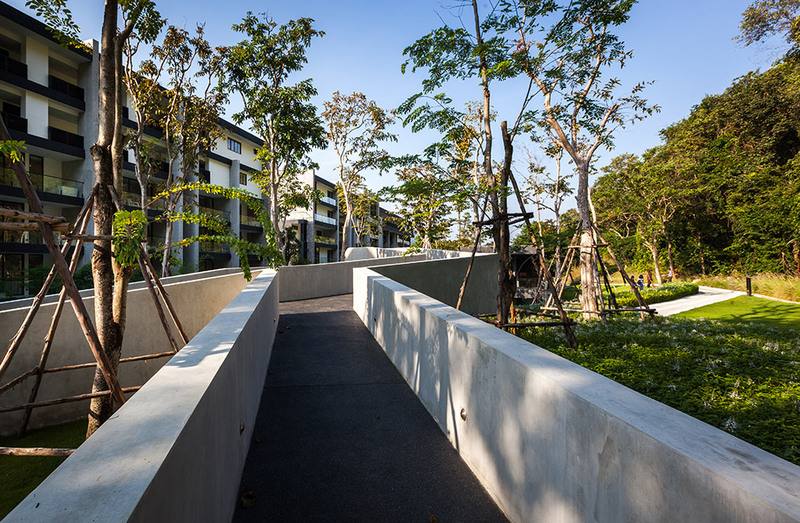 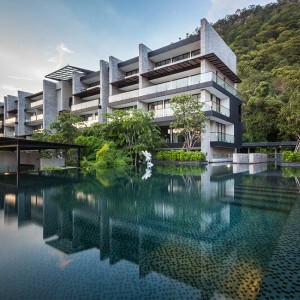 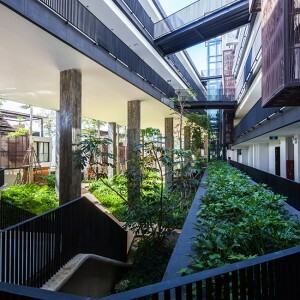 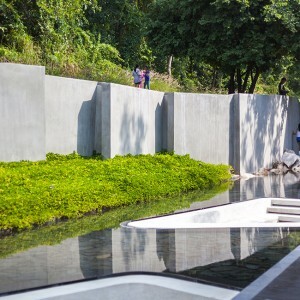 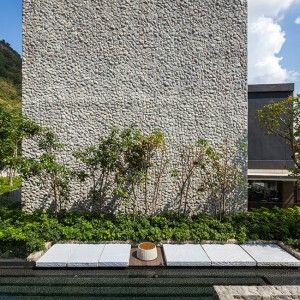 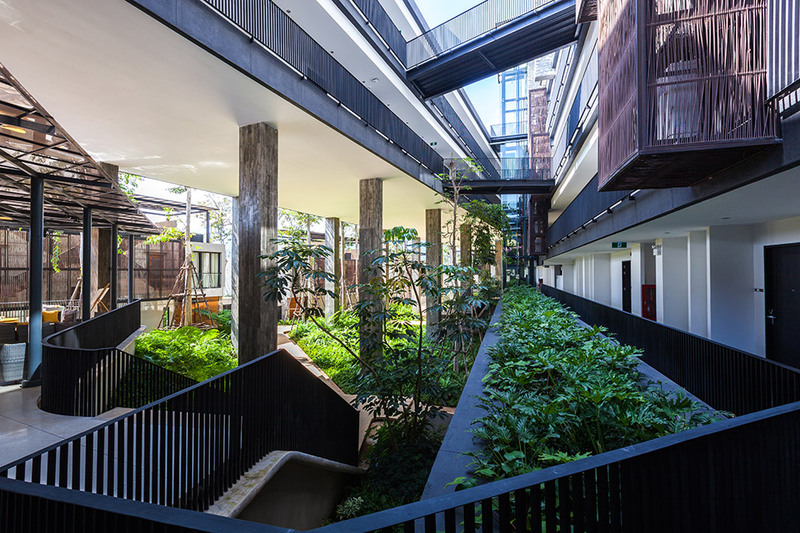 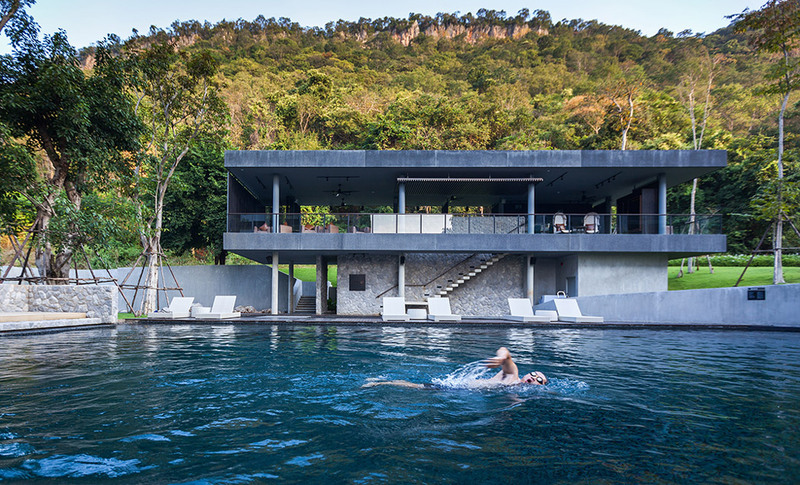 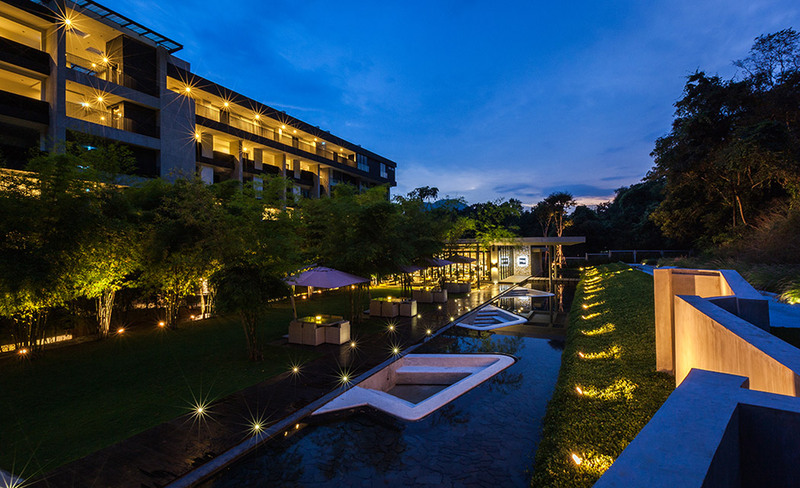 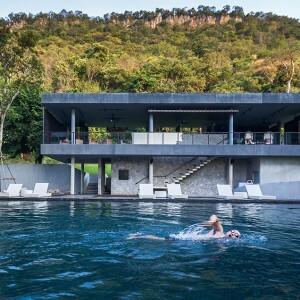 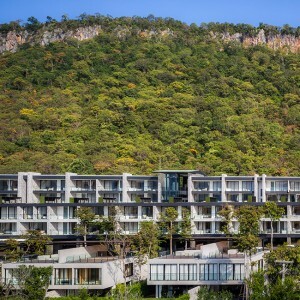 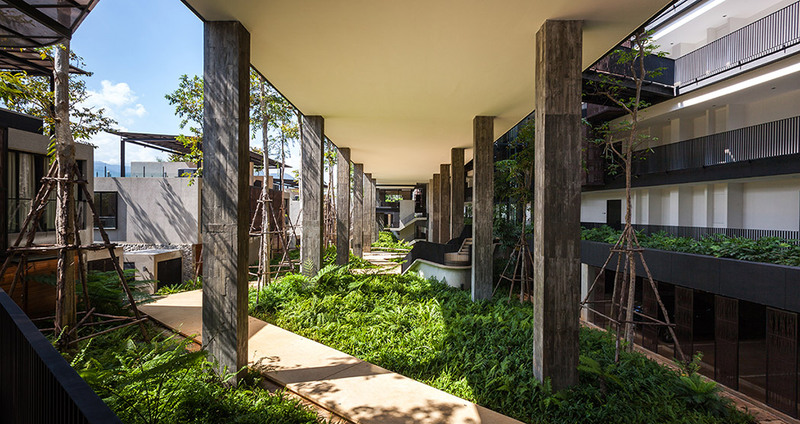 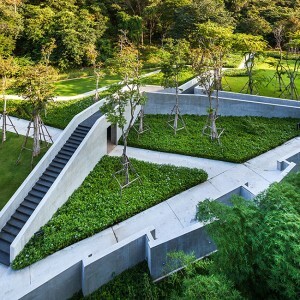 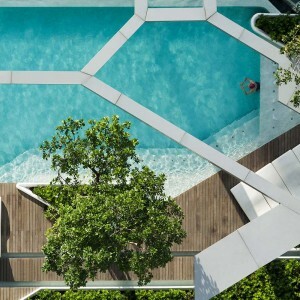 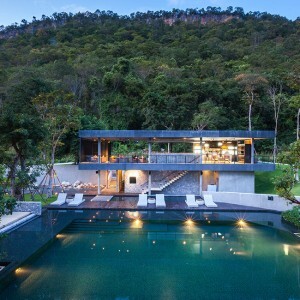 TROP: Inspired by the nearby mountain range, Khao Yai, Thailand’s largest rain forest, the landscape is created as the link between the architecture and Nature. 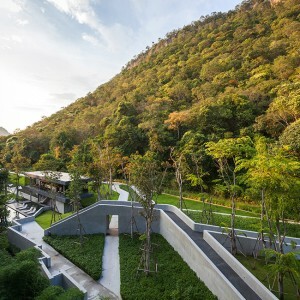 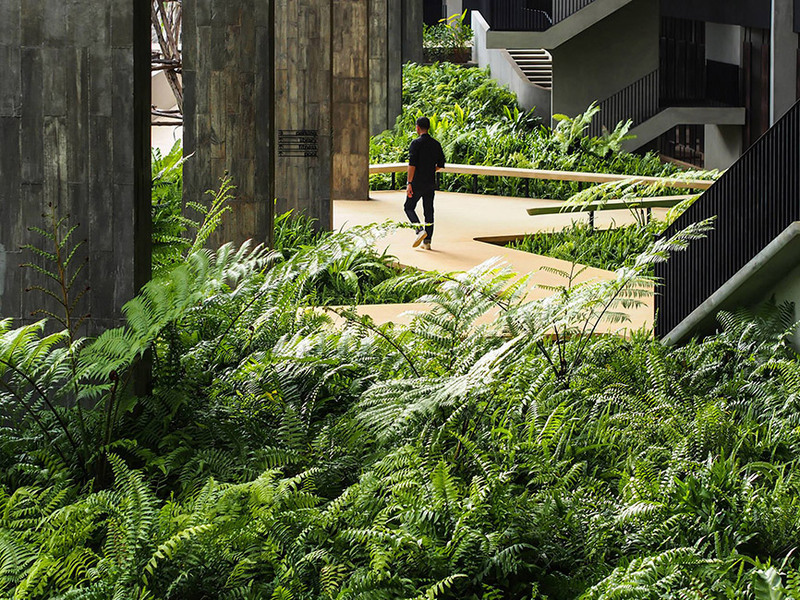 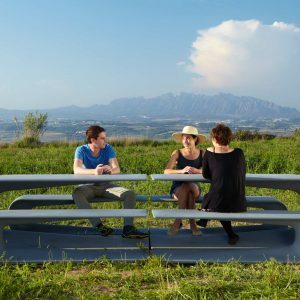 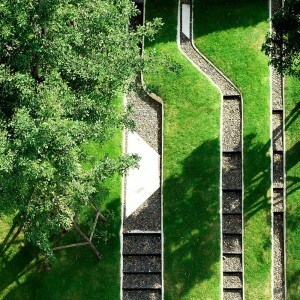 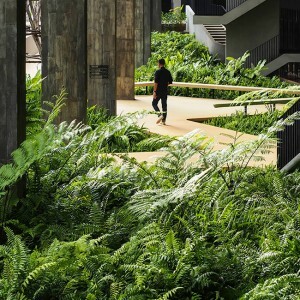 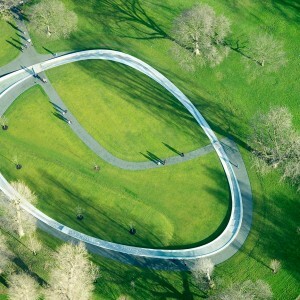 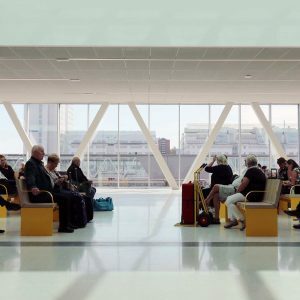 Instead of trying to produce a faked natural forest, the architecture is interpreted as big trees while the landscape represents the green areas underneath. 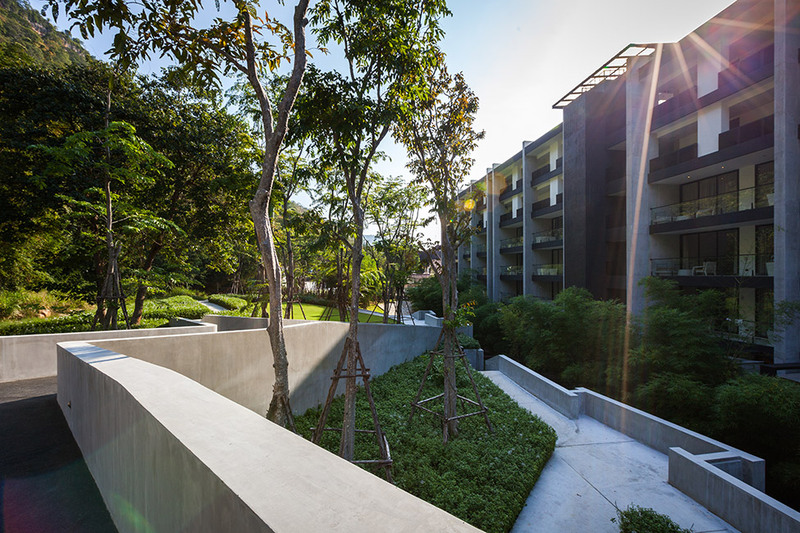 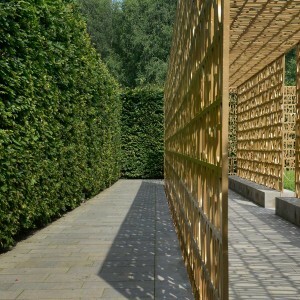 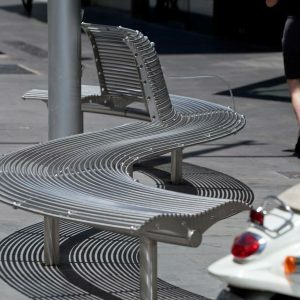 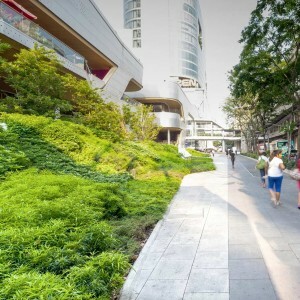 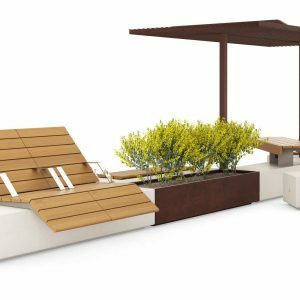 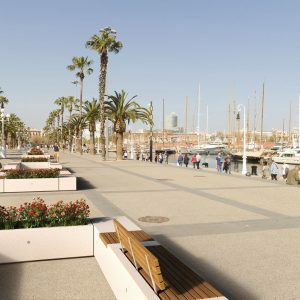 Working with different qualities of sunlight, the landscape solution successfully introduces the man-made sustainable forest, which inspires the residents to understand and appreciate what Nature is all about. 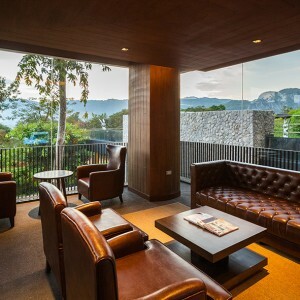 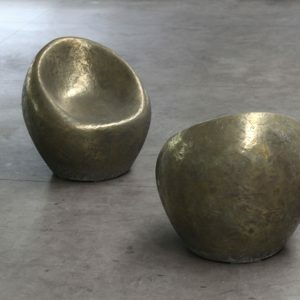 Interior Designer: Define Studio Co., Ltd., Mada Design Factory Co., Ltd. 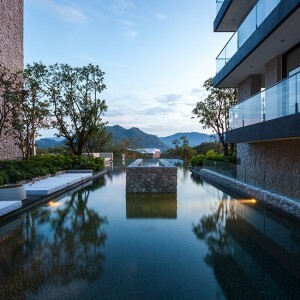 Structural Engineer: Qbic Engineering and Architect Co., Ltd.
M&E Engineer: Thanavit Design & Engineering Co., Ltd., Water Thai Tech Co., Ltd. 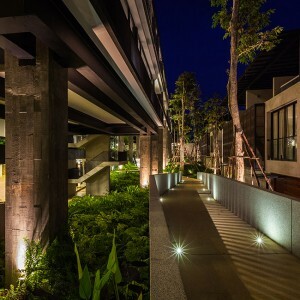 Contractor: Grand Frame Co., Ltd.
Landscape Contractor: Invention Green Co., Ltd. 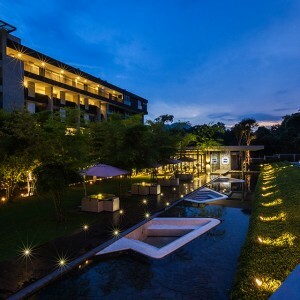 Lighting Designer: Truelight Co., Ltd.